stock front swaybar is the same on sedan and coupe where the touring is supposed to be a mm thicker saw 25mm vs 26mm somewhere. apparently 15mm swaybars was used on SLS vehicles with the extra heavy duty option, but so far, only rumors. Hi, the anti sway bar from a w123 station wagen is 25mm which is 1mm thicket then a w123 saloon. 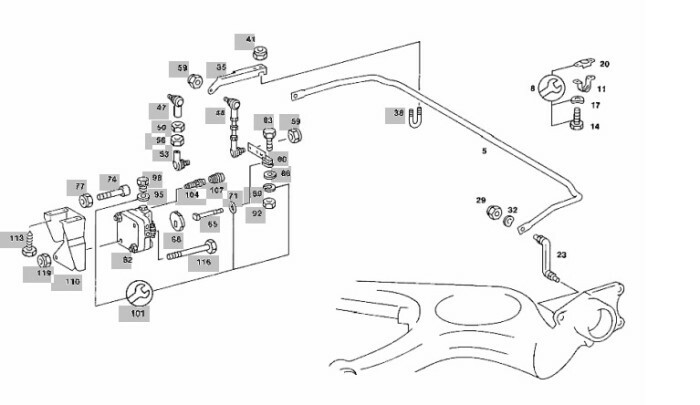 The rear anti sway bar is 12mm for all the w123 models.